Showing all 15 items matching your search criteria. 237. A large goblet, presumably 17th Century. 238. 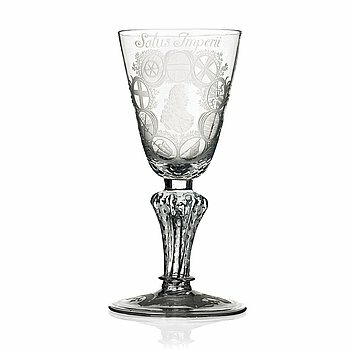 A Dutch cut and engraved wine glass, 18th Century. 239. 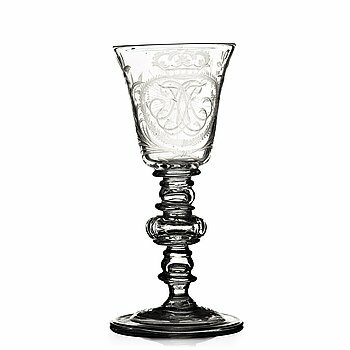 An engraved German glass goblet, 18th Century. 240. 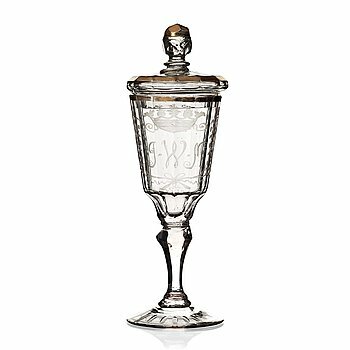 A Geman cut glass goblet with cover, 18th Century. 241. 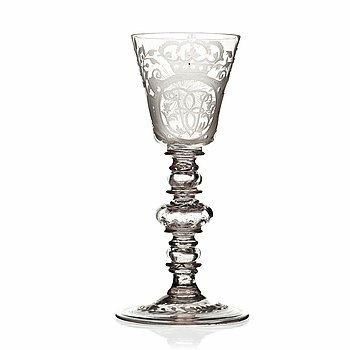 An engraved glass goblet, Kungsholmens glass manufactory, 18th Century. 242. 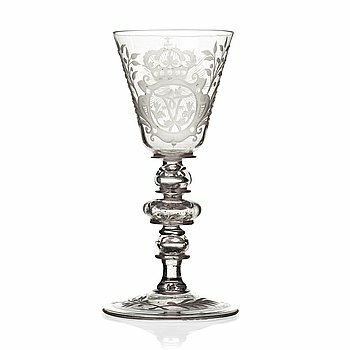 A large Swedish engraved goblet, Kungsholms glass manufactory, 18th Century. 243. 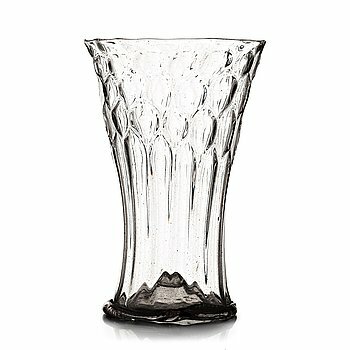 An engraved glass goblet, Kungsholms glasbruk, Sweden, 18th Century. 244. A matched pair of red figure glass vases, late empire, second half of 19th Century. 245. A green bottle with stopper and a beaker glass, Russia, 19th Century. 246. 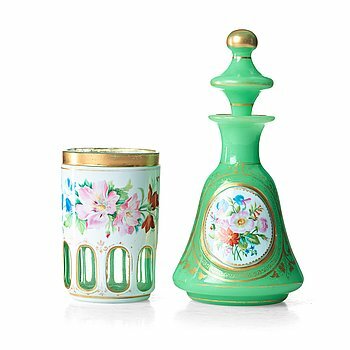 A Russian opaline bottle with stopper and a vase, early 19th Century. 247. 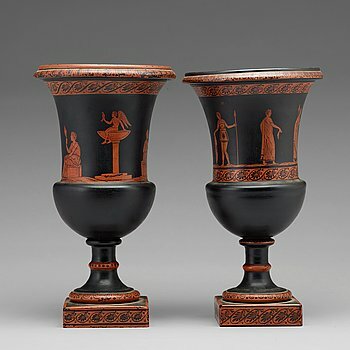 Two Russian cut and gilded beaker glasses, 19th Century. 248. A silver gilt turkoise glass tankard, bottle with stopper, bowl and a small creamer, 19th Century. 249. A green tinted cut vodka glass, Russia, Imperial glass manufactory, St Petersburg, 19th Century. 250. A pair of cut and gilded glass vases, 19th Century, possibly Russian. 251. 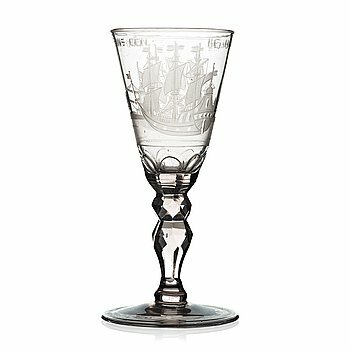 A cut and engraved glass service, Probably Baccarat circa 1900. (86 pieces).